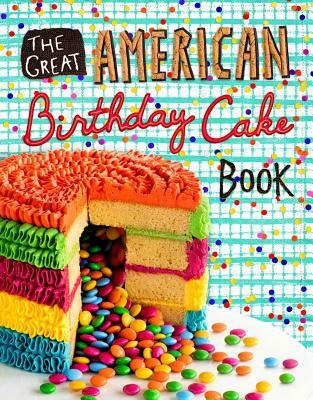 Elaborate birthday cakes you can make at home A professional cake decorator and celebrity baker bring you The Great American Birthday Cake Book, featuring 80 awe-inspiring cakes, from nostalgic and cute to beautiful and artistic. Learn how to create delicious, colorful, bakery-quality birthday cakes at home with this inspiring and comprehensive cookbook. The 80 recipes feature kid-friendly themes for all ages; step-by-step images and detailed primers on cake making and decorating--including icings, working with fondant, coloring, piping, and more--provide all the knowhow needed to create these memorable cakes. From mermaids, butterflies, and ballerinas to pigs, pirates, and dinosaurs--and even the latest in emojis--The Great American Birthday Cake Book has the perfect cake for everyone. Also included are spectacular creations, like marbled cakes, a fondant hydrangea-decorated cake, and a diamond-shaped cake for adults.